L.A. Lakers (8-13): I was not one of those people who was right back on the Lakers bandwagon and believed that they were going to sneak into the playoffs. But I had hoped that they would be closer than they appear this year. Lonzo Ball has had some really strong games, but it has been a rocky ride, and he is a very long way from being the MVP that his dad has assured us he is destined to be. The other rookie, Kyle Kuzma, leads the team in scoring. While he has been very impressive, you don't typically want your later draft pick to lead the way, and you really don't want 16.7 points to be good for the team lead. Julius Randle isn't emerging as hoped. Brook Lopez doesn't look like more than a placeholder. And the team doesn't play with a particular spark. It is still possible that the team could go on a run and flirt with .500 for the season - which would be a great result for them this year - but they sure don't feel like that is going to happen. Oklahoma City Thunder (8-12): A team does not splash out to add two Olympians to a roster that features the reigning MVP to go 8-12. Everyone knew that there would be growing pains, but we are a quarter of a way into the season already and the pains are far too severe. None of the big three look comfortable, and none are doing anywhere near what they need to be doing on a regular basis. Melo is particularly struggling to figure out how he fits in and what he can do to maximize this team. There have been obvious signs of potential - like the dominating win over the Warriors. That was the only win over the last six games, though, so things are dark right now. I'd find it a lot easier if I thought that Billy Donovan was a good NBA coach, but he isn't. Memphis Grizzlies (7-13): It pretty much goes without saying that the Grizzlies are a disappointment since they have already gotten a coach fired. David Fizdale probably got blamed too soon, but when coach and star player are fighting openly someone is going to pay for it, and it's rarely going to be the coach. The challenge the team faces now is that they have two key players, but they are a long way from being competitive. They have three choices - trade Marc Gasol and/or Mike Conley and rebuild in earnest, keep the core two and add resources to help them compete, or stand still and fade into oblivion. It's clear that either of the first two would be ideal, but the third unfortunately can't be ruled out yet. L.A. Clippers (8-12): It's not really the fault of the Clippers that they are where they are. After Chris Paul bolted, Patrick Beverley was quickly lost for the season and now Blake Griffin is out for an extended period. That's a whole lot to overcome. And it's hard to be too hugely disappointed by this team because the roster as it sat to start the season wasn't exactly going to run straight into the playoffs. But they could have been much more competitive than they have been now, and they had playoff potential - which definitely isn't the case now. 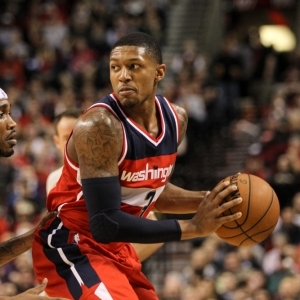 Washington Wizards (11-10): The East seemed to have two tiers heading into the season - just as it did last year. Boston and Cleveland would fight for the top spot - with Cleveland's determination in the regular season having a lot to do with how things turned out. And Toronto and Washington would fight for the other two home court spots. While the other three have done their jobs, Washington hasn't. They are tied with the Knicks for eighth and ninth in the league, they have the worst record at home of any playoff team in the league, and they just don't seem to all be on the same page.